Winner of the Human Human Machine award at A MAZE 2017! 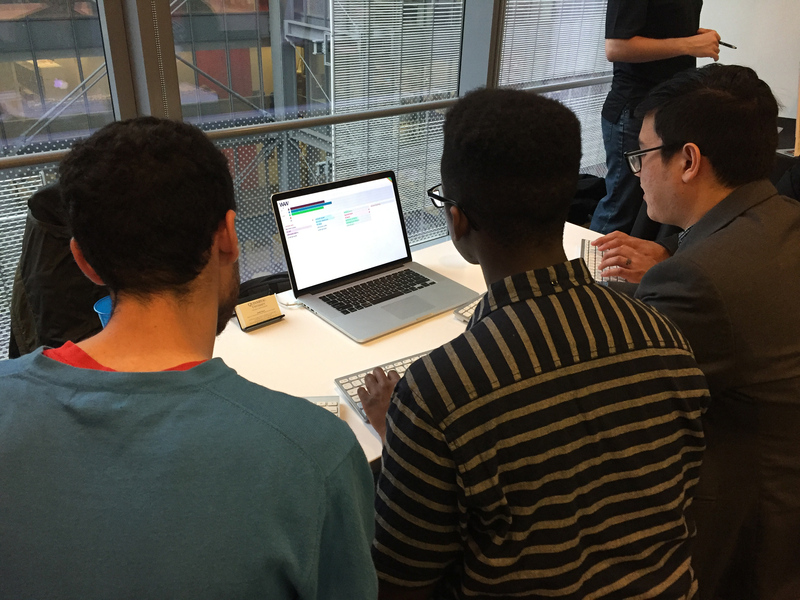 Word After Word is a fast-paced local multiplayer word game that uses a massive natural language dataset to reward players for thinking naturally about common word usage and context. The game is played by two to four people, each with their own keyboard. 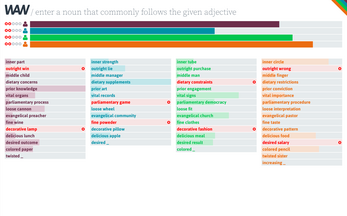 Each player is given the same randomly generated series of adjectives one at a time. 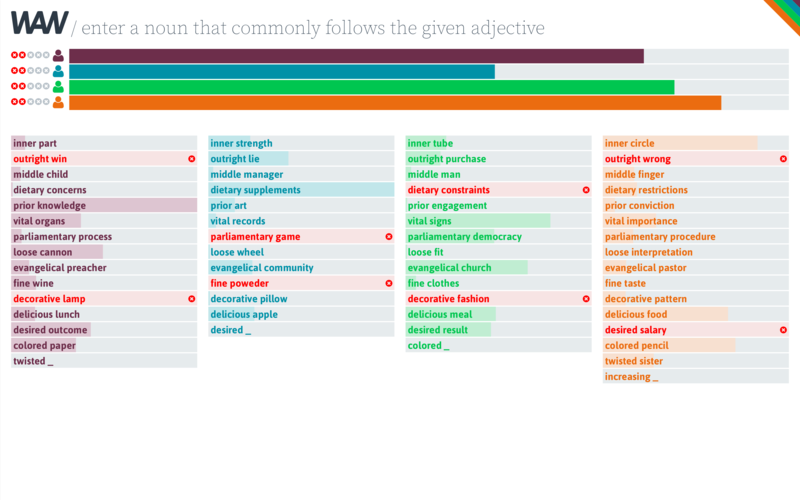 For each adjective, each player tries to identify the noun that most commonly follows it (e.g. fast CAR). Each player is given a score based on how often their noun follows the given adjective in a dataset compiled from over a half a billion words taken from magazines, tv, and books. For each prompt, there are potentially thousands of correct answers of varying degrees. 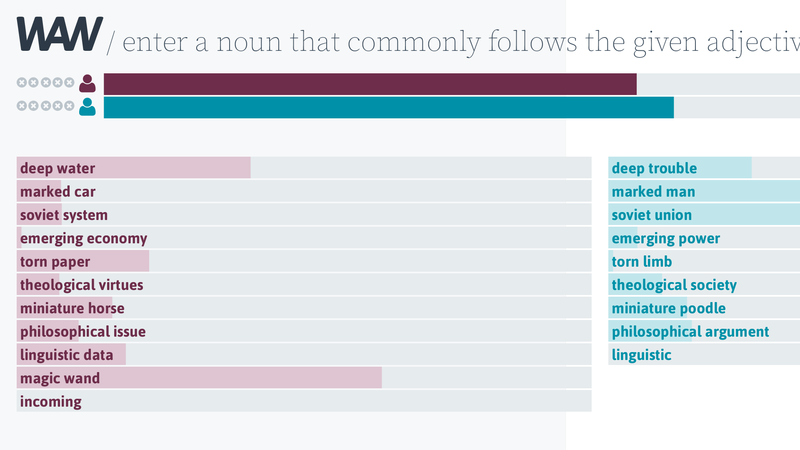 As an example, let’s say players were given the word “traditional.” In the dataset, there are approximately 2000 nouns that would be accepted and scored. High scoring answers would be: role, family, and music.